What do we have here? 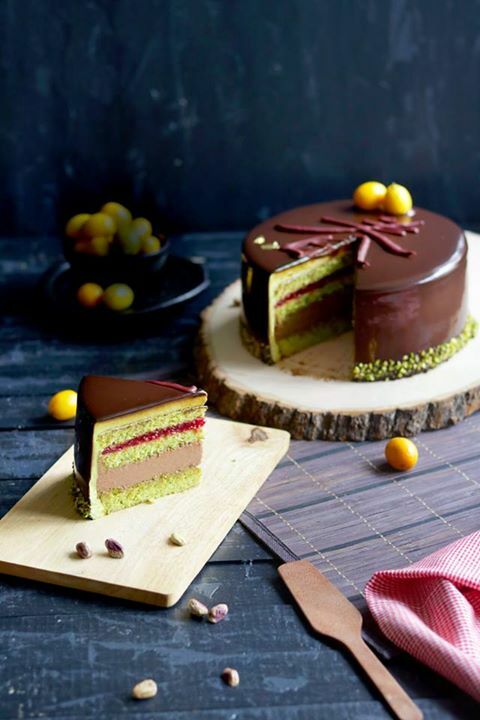 This Limited Edition Pistachio Chocolate Cake is made with ground pistachio (giving it a lovely shade of green), chocolate truffle and raspberry compote. The cake layers are frosted with pistachio cream and encased in a dark chocolate ganache. The finishing touch - an auspicious "春" ("Spring" in Mandarin Chinese), making it a grand centrepiece for reunion dinners.